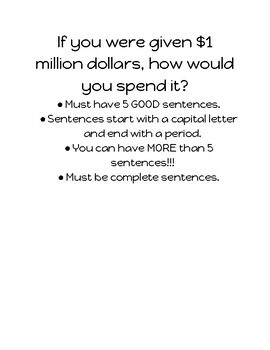 Here is a simple writing prompt that is fun and engaging for students! Students will come up with some surprising ideas. It's a great way to get your students writing!